Seven Months in 79 is an exhibition of interesting music related photography taken by David Hunter and unseen for almost 40 years! 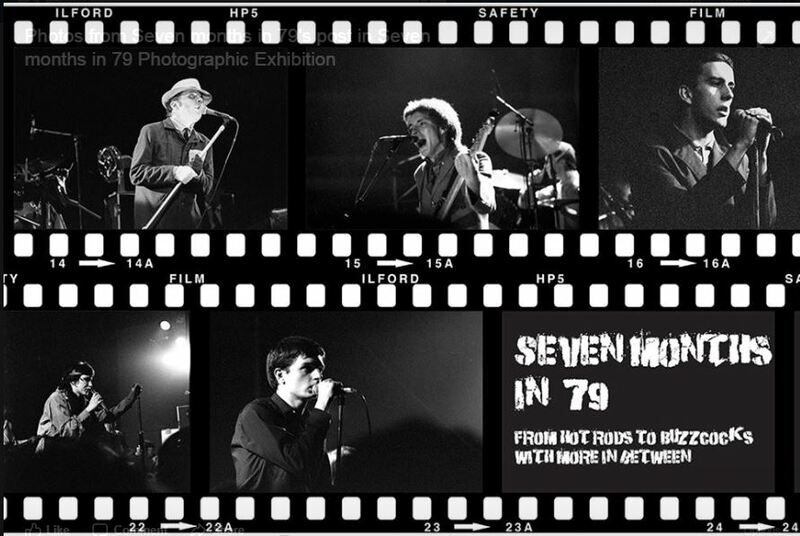 Forever Manchester recently chatted with David about his love of music and a passion for photography culminating in the Seven Months in 79 exhibition at Eccles Community Art Gallery. The exhibition features unique photographs of many names including The Specials, The Only Ones, The Human League, Joy Division, The Buzzcocks, Ian Dury and Dexy’s Midnight Runners to name but a few! Following a successful first run. the gallery has been rebooked from the 7th July for 4 weeks. Don’t miss out! The vast majority of the pictures have been unseen for 40 years, a preview of the gallery can be seen on the Seven months in 79 Facebook page. This wonderful exhibition is being held at Eccles Community Art Gallery, Unit 4, Boothway, Eccles M30 0EB. Eccles Community Art Gallery is a not for profit community interest group, staffed by artists and volunteers who are passionate about giving an opportunity for local artists to display their work and interact with those who visit.